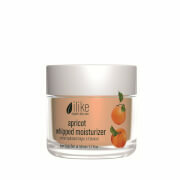 Soothe and calm your complexion with ilike organic skin care Ultra Sensitive System Whipped Moisturizer; an oil-free, replenishing formula developed specifically for hypoallergenic and sensitive skin. Absorbing quickly into skin without greasy residue, the luxurious cream combines Yarrow and Plantago with antioxidant-rich Vitamin C to hydrate, nourish and defend against environmental aggressors for long-lasting comfort. Helps to relieve redness and irritation, whilst restoring soft, supple skin and a fresh, healthy-looking complexion. Dermatologist tested on hypoallergenic skin. Ideal for sunburn, acne, rosacea and other forms of sensitive skin. After cleansing and toning, apply a thin layer of moisturiser to the face. Use morning and evening. Yarrow, Plantago, Grapeseed -- Vitamins A, B, C, E and K, Bioflavonoids, Polyphenols, Resveratrol, OPCs (Olygomeric Proanthocyanidins), Carotenoids, Citric Acid, Fruit Acids, Protective Enzymes, Pectins, Tannins, Mineral Salts, Trace Elements.